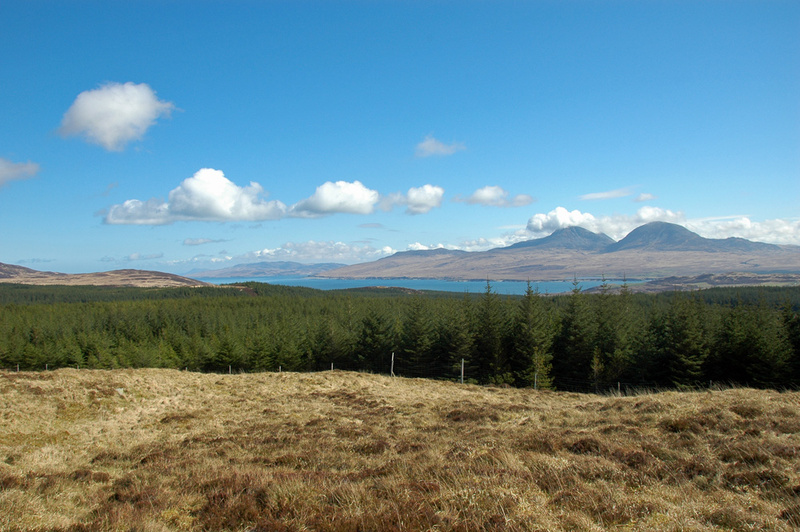 A view north east from Cnoc nan Seabhag, looking over the woods at Staoisha, across the Sound of Islay to the Paps of Jura. Bunnahabhain is hidden behind the trees. This entry was posted in Landscape, Repost, Sunny Weather and tagged Bunnahabhain, Cnoc nan Seabhag, Islay, Paps of Jura, Sound of Islay, Staoisha by Armin Grewe. Bookmark the permalink.